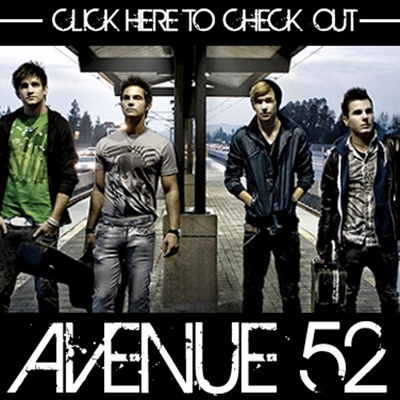 In a music segment where most bands sound like all the others, Avenue 52 is fitting right in. Good quality recording, decent enough songs (the acoustic ballad, the ballad with power chords, the up-beat sing-along, etc) but it is not bringing anything new to the listeners. TyMichael has a good voice, there are some catchy guitar riffs, the occasional punk-rock drumming sections making the EP an overall easy listener. The first track Simple Girl is fun while the remaining 5 tracks are all love songs/ballads to some extend which is a shame since their best bet on furthering their music careers would lie in more light-hearted tracks. To me, the lyrics could focus less on girls which make the EP a little repetitive. Teenagers must be thinking about other things than just girls. Located in LA, they have been picked up to feature on the ABC show ”The Secret Life of the American Teenager” and this could just propel them to bigger and better things, hopefully they'll find their own little niche in an overcrowded pop-rock genre. TyMichael Aguirre (Lead Vocals, Rhythm Guitar), Sean Alexander (Background Vocals, Lead Guitar) and Beau Evans (Drums) look the part and the songs could appeal to the swarms of angst-ridden teenagers so you might just hear more from them.